We left Florida behind on Thursday for the Bahamas. As luck would have it we had beautiful sailing conditions. Maybe too beautiful, we could have used more wind to be honest. It made sailing a little more challenging at times. 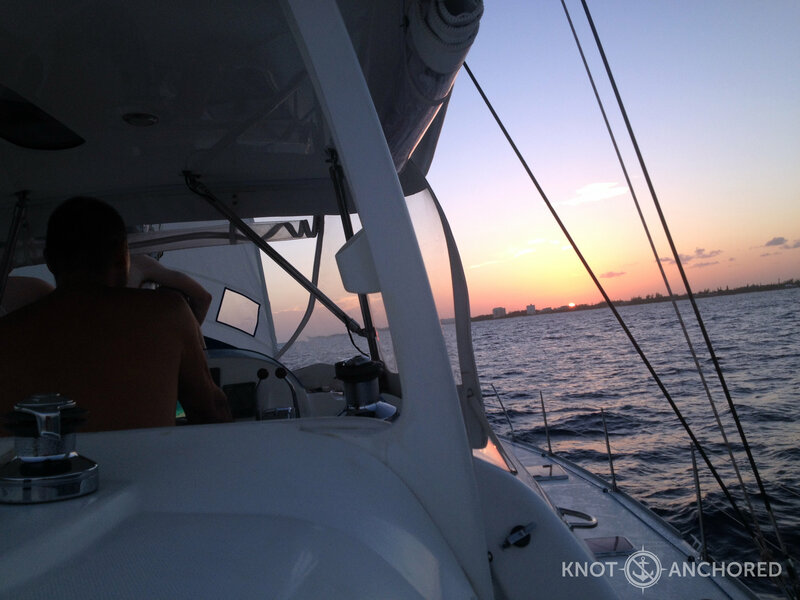 Our original destination was Bimini for an overnighter before heading to Freeport. 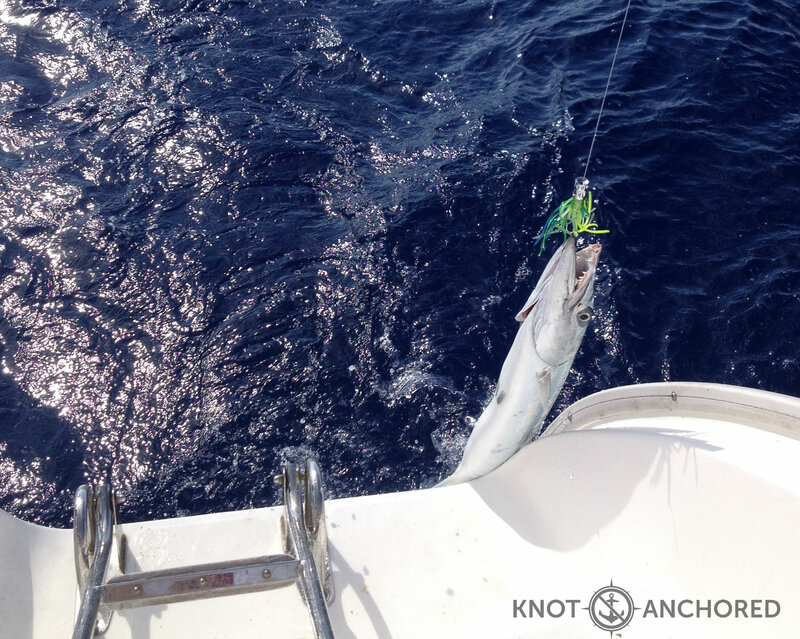 We changed our minds midway to Bimini while crossing the Gulf Stream- we were having way too much fun on the ocean and the thought of a overnight in a marina was meh. So we did an overnighter. The ocean at night has got a lot of things going on surprisingly. In a world where we are constantly stimulated by our cell phones, internet, facebook even TV, it’s definitely an experience. Since someone has to keep watch all the time we split the watches at night. This takes yet another form of stimulation away, someone to talk to. What starts off as a dark abyss evolves over the course of the evening. There’s more stars then I’ve ever seen. The sound of the sail in the wind and the slapping of the waves against the hull. Yoga practices the art of being in the present, the right now. Sometimes it worked for me, most times my mind wandered to my grocery list, schedules etc. 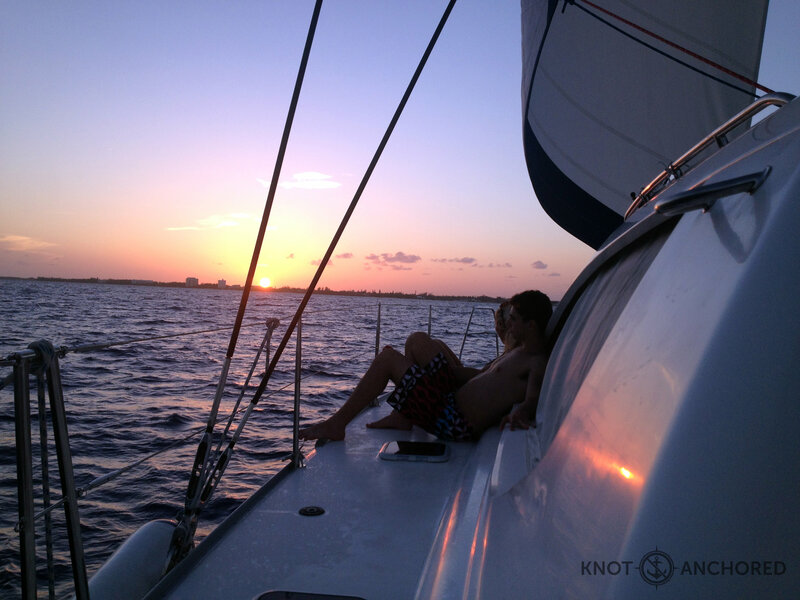 Sailing at night puts you in the now. 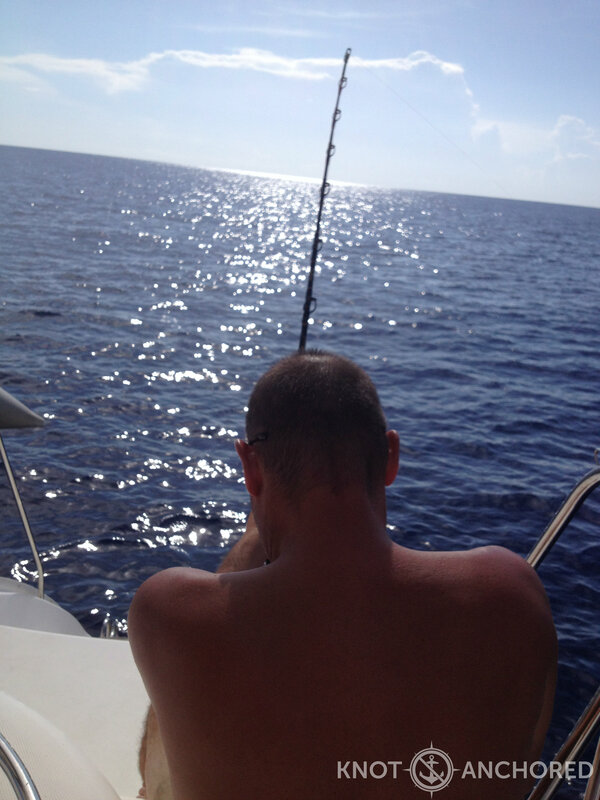 So while we tooted along we threw out some fishing line and ta da Steve caught a barracuda! It’s not edible. It’s definitely not pretty. But if there was a fish version of UFC I would put my $$ on this guy! Pure muscle, was about 50lbs and we could just barely pull it out of the water. Managed to keep the lure. Fishy smacked his head on the way down and was off on his way. Great news! Kids made it. Ok we knew they would make it but as a parent you worry that they’ll see something shiny, get distracted and miss their connector flight. Long day for them, two connecting flights and a 12 hour travel day, they arrived in good spirits and hungry so all was ok in the world as we know it! 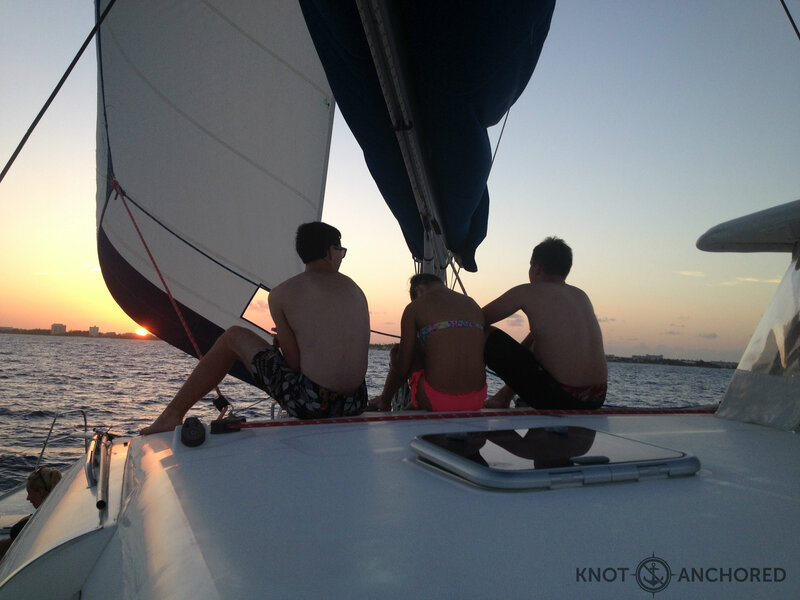 Headed out for a swim and got to sail off into the sunset – day one. Congrats on the big happy family. All is good captain!